About | So Not Lost! So Not Lost! 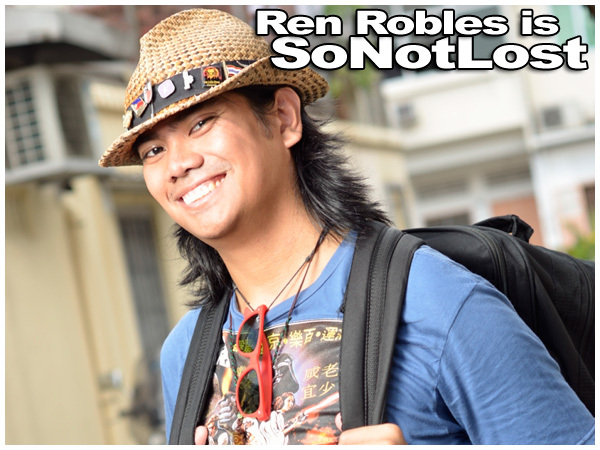 is a travel blog created by Ren Robles, a 29-year-old theater actor and travel nut. I was born and raised in Manila, Philippines, and recently moved to Singapore to pursue a job offer in one of the country’s integrated resorts. I may not be quite as well-traveled as other travel bloggers, but I’m doing my best to catch up. I was first bitten by the travel bug when my family and I went to Hong Kong in May 2008. It was my first time to travel out of the country, and I was thrilled and excited by the whole trip. I also got the opportunity to explore Hong Kong on my own, which only made me love travel even more. From then on, my curiosity of other countries (and the subsequent wanderlust) grew. After coming back from Hong Kong, I started actively planning and making other travel plans. 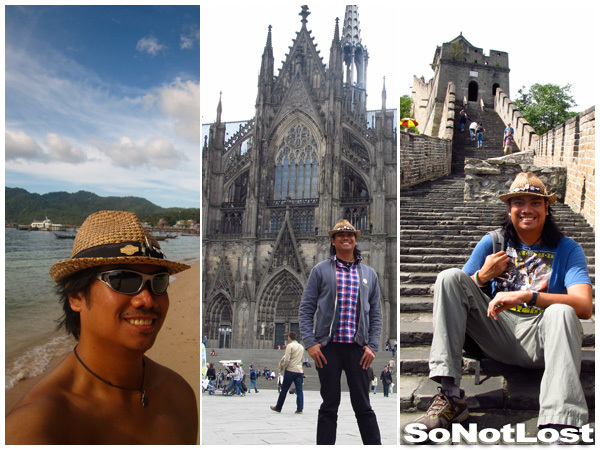 I started with a few trips within the Philipines after that, such as Vigan and San Fernando. 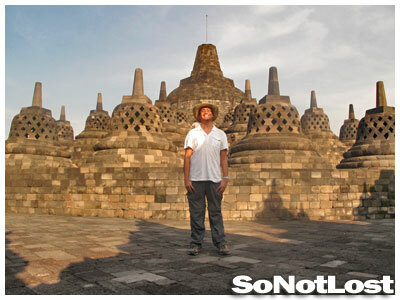 In April 2009, I embarked on my biggest trip yet, which I personally dubbed The Big Trip. It was a three-week solo backpacking trip that took me to Ho Chi Minh City, Vietnam; Phnom Penh, Cambodia; Siem Reap, Cambodia; Kuala Lumpur, Malaysia; Singapore; Macau; and, Hong Kong. It was an amazing experience that cemented my love for travel and made me want to see even more of the world. Since moving to Singapore in November 2009, I’ve made trips to various cities in Singapore’s Southeast Asian neighbors, including Jogjakarta, Indonesia; Melaka, Malaysia; and several different places in Thailand. 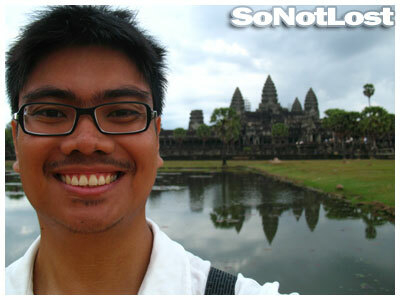 In May 2011, I left Asia for the first time in my life and went on my first ever Eurotrip. I went to Germany, Netherlands, and Austria. I am hoping to see more of the world soon! I’d love to be able to visit every continent in my lifetime. You can contact me here or at renrobles[at]gmail[dot]com. So Not Lost! was started in November 2008 as a way to document my little trips and wanderlust, starting with my Vigan trip earlier in the month. So why is this blog called So Not Lost!? Well, all you have to look at is the subtitle: …just wandering around. It’s really because of my style of travel. I like to explore everything on foot as much as possible, and like a typical guy, I don’t usually ask for directions. If I have a map, I’ll use it, but if not, I’ll just wander about, passing through the side streets and taking note of what I see so I can get back. It also makes for more interesting travels; for example, on a recent trip to Angono, Rizal, I walked around aimlessly and found a large house with golden replica of the Statue of Liberty. Hence, my declaration that I’m So Not Lost! I may look quite lost wandering about, but really, I know where I am… usually. cool blog man. keep up the good work! Cool website! Nice trip-pings! hehehe! pls give more travel tips, experiences etc AND PLS! Miss the Pic of the Week AND your China exploration. Love the blog Ren – Where are you off to next? Wow! You’ve been into so many places.